I’m pleased to announce that we’ve rolled out new heatmaps to the site! – Options to choose either a traditional 5×5 grid or a more granular 10×10 grid. 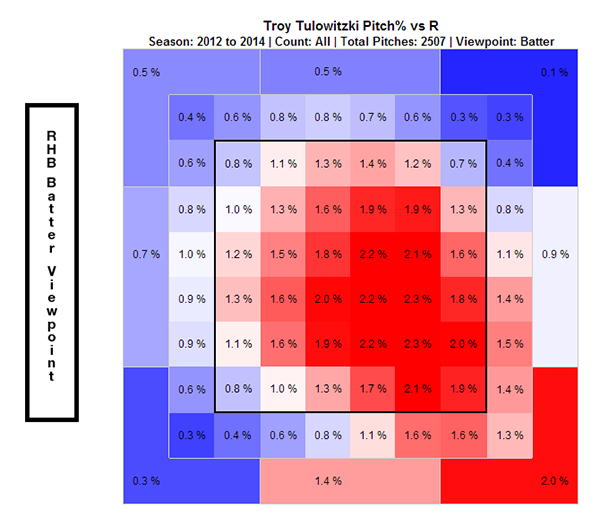 – Choose a heatmap from the viewpoint of either the pitcher or the batter. – For the 10×10 grid, you can choose your own level of smoothing, which will change the weighting of adjacent buckets. – Filtering on single or multiple years, handedness, and count. – A variety of different stats to choose from. The color grading on the heatmaps is always compared to an MLB average player for the selected time period and handedness. We hoped you liked reading New Heatmaps! by David Appelman! I’m hard as a diamond right now. Any chance you’ll add an export functionality like with spray charts and comparisons?